What a surprise. 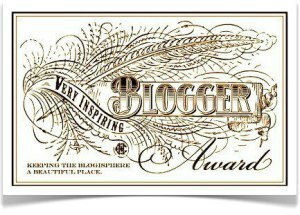 I’ve been nominated twice for the Very Inspiring Blogger Award. Thank you so much Litlove and Heavenali. I’m grateful and flattered. The idea behind the award is to pass it on to 15 other blogs and share 7 things nobody knows so far. I have a problem on both fronts. I will not come up with 15 book blogs because that would mean I’d have to re-nominate many who have already been nominated at least once. His Futile Preoccupations – Guy’s probably the blogger who made me buy the most books. I love his choices and the way he writes about them. Crispy fresh writing style and choices that are far from conventional. Plus he’s a writer magnet. I haven’t seen any other blog on which so many writers comment. Book Around the Corner – Emma is someone who will always write about books with passion and have new insights. Her reviews are never predictable, her choices always interesting. Pechorin’s Journal – Whether he reads modernist fiction or sic-fi, he’ll always write beautifully and poetically about it. Babbling Books – I don’t know anyone else who reads huge tomes on history and historical figures and writes about it so well that you don’t even need to read the books for yourself. And you will always find an interesting discussion of philosophical, historical or political topics on his blog as well. Vishy’s Blog – It’s wonderful when someone loves reading so much and manages to share his enthusiasm. He’s also one of the most diverse readers around. Non-fiction. literary, modernist, crime, YA, fantasy, there’s nothing he wouldn’t read. 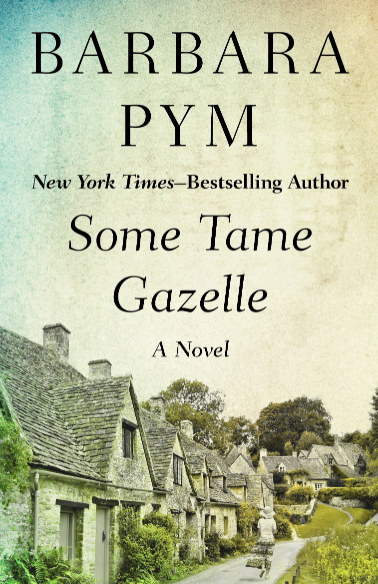 Still Life With Books – Violet’s a blogger I admire for her writing style and careful analysis. I always find books I’d like to read on her blog, especially memoir and non-fiction. Tony’s Book World – If I had to pick a blog and only read what they review, he’d be one of those I’d choose. I just love his choices. The reviews are pithy and to the point. The Reading Life – There are not many around with so much passion and enthusiasm for short stories and different cultures. Postcards from Asia – My lovely co-host of some great events. She has a very unique way of writing reviews, very literary. Buchpost – Quirky blogger who writes in German and English, shares photos and best of book blogging links, which contain great discoveries. Kaffeehaussitzer – German blog I’ve discovered only recently. He writes thoughtful, in-depth reviews and takes wonderful photos. He’s a man with a mission. If you visit, you’ll find a lot of food for thought and good reasons why we should support Indie bookshops. Le blog de Mimi – French blogger with an impeccable taste. She reads and reads and reads. One of the most dangerous blogs out there because she makes you discover so much. Each of these blogs is a treat. They are all very different but intelligent and inspiring. Please don’t feel forced to pass on the Award. Do it if you feel like it, if not – that’s OK as well. Hi, Caroline. With so many awards around, and sometimes given so freely, I feel that your award deserves to be marked with a special degree of plaudit, because you are one of the few people who totally deserves the highest marks going. Your site is always there with numerous valid and important reviews of a wide variety of reads, and your leadership of the discussion is always inspiring and generous to your commenters. More, I applaud your simplification of the award strictures, because when one has already produced an award-winning blog, one should not have to ransack around forever to recommend other reads, but should be free to mention only those who have not been mentioned before or who might’ve slipped by one’s readers. Kudos! You have received a much-merited award with grace and aplomb. You’re very welcome. You’re blogs a treasure trunk. Congratulations on a very well-deserved award, Caroline! These nominations are a great way of discovering new blogs of potential interest. I’m familiar with roughly half of those you’ve mentioned so I’ll take a look at the others. Thanks, Jacqui. I know you’ve got one as well. I think from the same source. I agree, it’s a great way to find new blogs. I hope you’ll discover the one or the other. Thanks for introducing me to blogs I don’t know. You’re welcome. Thanks for my award. I’m still chuffed. Thanks Caroline: I’m happy to hear from writers when they comment. I’m sure reading reviews must be one of the hardest parts of the job. That and rejections. You’re welcome. I find it amazing how many find the way to your blog. I’m sure they always read with trepidation. You deserve this very much and thanks so much for the inclusion of The Reading Life in this great list. Thanks, Mel u. You deserve it as well. You offer so much dedication and amazing content. Congratulations Caroline and thank you so much for recognizing my blog. I really am honored and even more so to be in such distinguished company. There ar a few sits that I am not familiar with that I will indeed be visiting. Thank you, Brian and you’re welcome. It’s a nice award, I think. 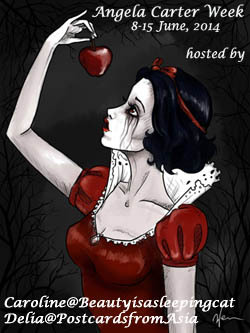 I’ll be blog hopping in the next days as well and discover some new blogs. It is fun to get introduced to some new blogs – I will have to visit some of these (delighted to see you nominated Emma, though, and Buchpost is such a dear heart). I hope you find some new ones too. Yes, buchpost is a lovely blogger. Thanks a lot, Caroline. I’m in very good company here. I’m going to check the German sites, I really need to improve my German and literature should be enticing enough. I will post about the award soon, even though I won’t find 15 ones you haven’t mentioned. I wish I had more time to read more blogs. I have to be selective, unfortunately. I’ve been nominated twice, so have others, I guess that’s OK. Only Bellezza posted just two days ago and nominated quite a few I’d have nomintaed as well but by the time your post will be up. I’m looking forward to those you’ll name. Congratulations. The quantity and quality of your output never ceases to amaze me. Thank you, my friend. Thta’s kind of you. Congratulations Caroline! This is so wonderful! Your blog is one of my favourites and I try not to miss a single post. I have discovered so many wonderful new books and writers through your reviews and recommendations and my love for German and French literature considerably deepened because of your recommendations. I wouldn’t have discovered my favourite Marlen Haushofer or Nancy Huston or Ferdinand von Schirach or Boris Vian without your recommendations. So I am not surprised that you have inspired many fellow bloggers. Thanks for nominating me for the award. I feel so honoured. It was nice to see many of my favourite blogs on your list – Delia writes so beautifully and Emma reads so widely and Guy is a connoisseur of noir fiction, I think, and Max (or should I say Pechorin :)) writes so elegantly and Tony’s reading list is always impressive and inspiring. I now want to explore some of your other favourite blogs. And you’re very welcome. Whenever I compile a list like this I realize how different all our blogs are. I love each one of those I mentioned for different reasons. I hope you find a few other ones that you will like. I did enjoy the events we organized and hope we’ll do it again in the future. The cat in the picture is called Maxi – or Max. I noticed your absence and thougt you must be very busy. I hope we’ll orgnaize something. Maybe some week in December? Let’s see what inspires us. I think most things about myself would be too boring to share and the others I am probably too embarrassed or private to share! 🙂 Will check out those blogs (though could be dangerous) as there are a number of new to me ones! It’s always dangerous to find new blogs. But exciting too. There’s so much diversity. Thanks for the shout-out Caroline, and if I took part (I tend not to) you’d definitely be in my 15. You’re welcome, Max and thanks for the kind words.